Three days for the set demobilization deadline of Colombia’s largest rebel group FARC, Congress approved the amnesty law the guerrillas demanded be in place before submitting to the law. According to the government, the demobilization of the FARC began weeks ago already, but this has been denied by both the guerrillas and local media. 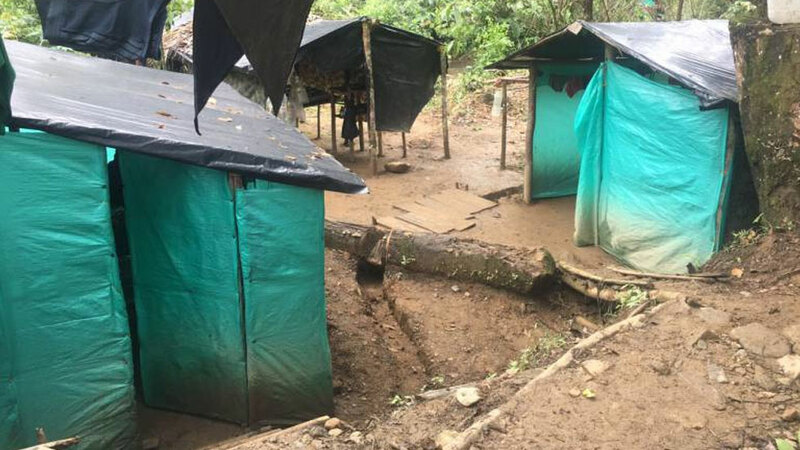 Both media and FARC reported that the guerrillas have remained in provisional pre-grouping camps close to the designated demobilization, disarmament and reintegration camps that are monitored by the UN. The amnesty law that was approved provides the rebels the judicial guarantees that those who are not accused of “grave” war crimes, are pardoned and reintegrated into society. The law will now be signed off on by President Juan Manuel Santos for it to take effect. What remains unclear is whether the FARC will now effectively demobilize, as they have cited other obstacles. The former guerrilla organization could not immediately confirm whether the order would now be given to enter the demobilization camps and effectively surrender to the law. According to the guerrillas and local media, in some places were the FARC is supposed to demobilize and disarm there exists no encampment and no infrastructure to demobilize or disarm. In total, some 6,600 guerrillas and approximately 10,000 militia members are set to demobilize and disarm. However, the apparent chaos in the setting up of the demobilization sites, delays in granting the guerrillas the promised judicial guarantees and a referendum that initially rejected the peace deal has led to the desertion of reportedly hundreds of FARC members. The FARC’s demobilization and disarmament is part of a major, 10-year peace process that seeks to end more than 52 years of violence that has left more than 8 million victims. While the guerrilla group transforms to become a Marxist political party, the government is set to embark on a series of political and rural reforms aimed at removing what are considered the main causes of the conflict, rural inequality and political exclusion. Meanwhile, a transitional justice system for both guerrillas and members of the military is put in place to seek truth and justice over the mass victimization of Colombians. Apart from the 16,600 FARC members, some 24,400 (former) state officials and 12,500 civilians who are either convicted or formally charged with war crimes will appear before this system. The process is broadly supported in Congress with the exception of the Democratic Center party of former President Alvaro Uribe, who like the current president, is facing numerous war crime charges. But Colombian society is strongly divided and agitated over the process that seeks to end a war the majority of Colombians were born in and, rather than in victory or defeat, ended in compromises that for many are hard to swallow.